Keeping quiet allows intolerance to thrive, Elizabeth Farrelly, Sydney Morning Herald, 1 September 2011. 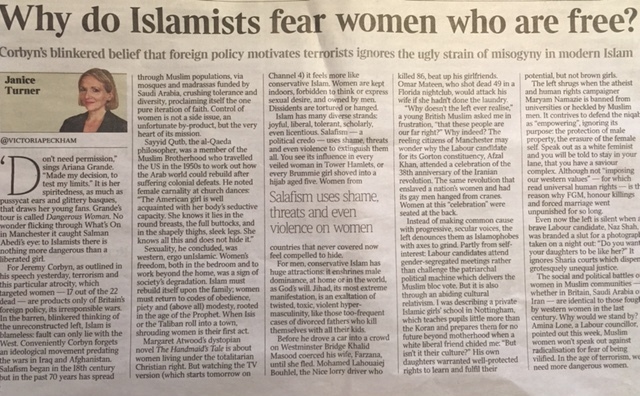 British experiment a warning on Sharia law, Chris Merritt, The Australian, 26 August 2011. Strength in Numbers, Channel 7;Today Tonight, 24 August 2011. Listen ABC Radio 774’s ABC Radio 774’s Conversation Hour with Jon Faine (Melbourne) interviewing Maryam Namazie along with artist Kavisha Mazzella and 9/11 survivor Genelle Guzman-McMillan, 24 August 2011. British campaigner battles media cone of silence on Sharia law, Chris Merritt, The Australian, 23 August 2011. Listen ABC Radio Nationals ABC Radio National’s Late Night Live with Phillip Adams interviewing Maryam Namazie along with Director of DV8 physical theatre Lloyd Newson whose latest work, Can We Talk About This? deals with freedom of speech, censorship and Islam. The production premiered in August 2011 at Sydney Opera House, and will be followed by an international tour. This documentary-style dance-theatre production is based on interviews, thoughts and speeches of individuals such as Maryam Namazie, the director of ‘One Law for All,’ which fights for the rights of women, and against Sharia courts and Sharia law being introduced in Britain, 22 August 2011. 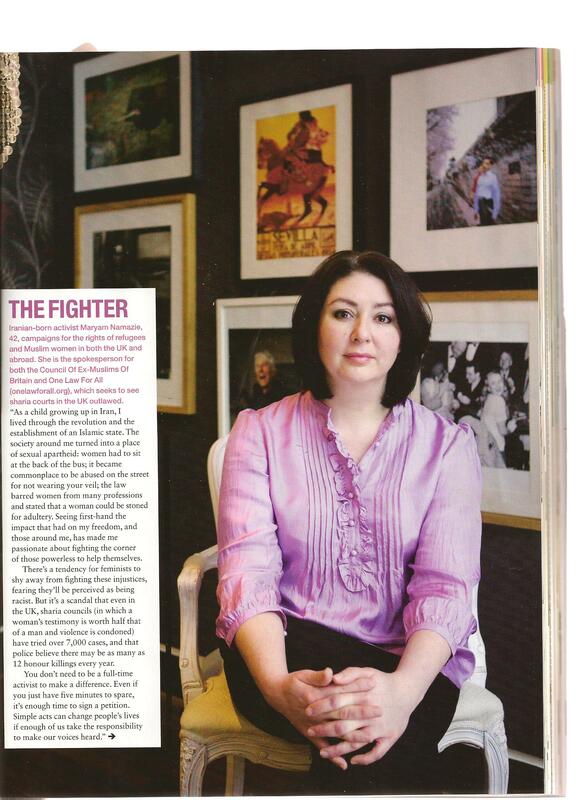 Maryam Namazie is selected as one of 2006’s most intriguing people by the best selling magazine for gay men in Australia. Namazie is of the Left. She is the director of the Worker-Communist Party of Iran’s International Relations Committee and has been named British secularist of the year. But in general, she notes, the Left, the traditional defender of human rights, is silent about the oppression of Muslim women. 1. It is being promoted by people who have some personal stake in the matter: it is specifically aimed at establishing a position against military or economic warfare against Iran, and it is being sponsored by a number of Iranian opposition groups who have a decent claim to speak for Iranian democratic opposition. The UK contact is Maryam Namazie of the Worker-Communist Party of Iran, who won the “Secularist of the Year” award last year for her courageous opposition to Iranian totalitarianism specifically and authoritarian Islam generally.